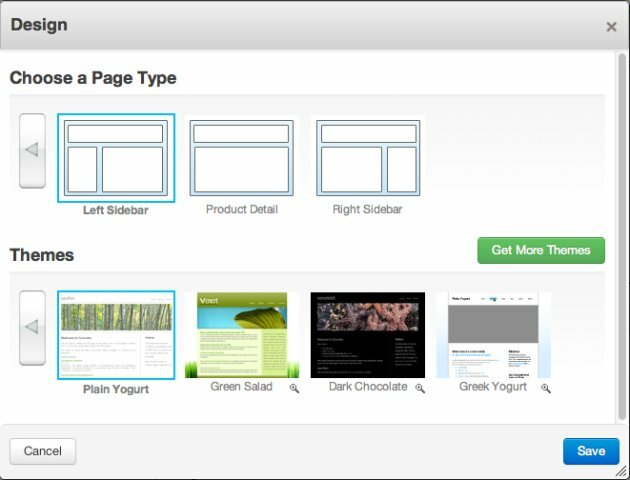 The Design button lets you select the Page Type and Theme that the page you are on will use. Sometimes Page Types are used to define the functionality of a page (ie: Product Page, Press Release). When you define Page Types this way, it's easy to do things like get ALL of the Product Pages from across your entire site and put them in a single list. If you want to change the Theme you're using across your entire site, type "Themes" in intelligent Search and click Activate next to the Theme you like from that Dashboard > Themes page.